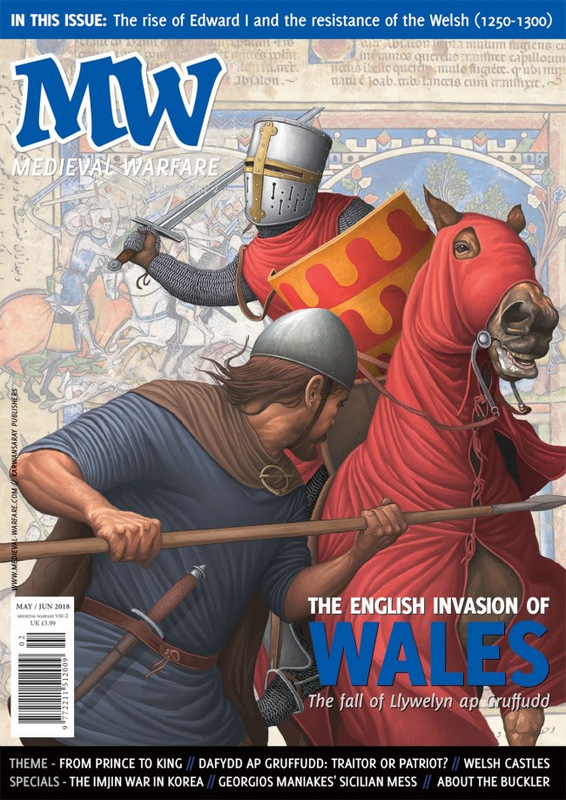 In this issue's theme, we look at Edward I's late 13th century invasion of Wales, with a special emphasis on the castle building campaign that went hand-in-hand with that operation. Peter Konieczny, 'The English and Welsh struggle - One island, one king?'. Danièle Cybulskie, 'Prince, pawn, and prodigal son - The rise of Edward I'. Rebecca Batley, 'Hostage, traitor, patriot, hero - The path of Dafydd ap Gruffudd'. John R. Kenyon, 'Defence-spending, medieval style - The castles of Edward I in Wales'. Sean Davies, '"All Wales was cast to the ground" - Edward's conquest'. Peter Konieczny, Further reading - Books and article on the invasion of Wales'. Giovanni Amatuccio, 'Maniakes' great misadventure - The invasion of Sicily in 1038'. Peter Konieczny, 'Can you answer these - Anglo-Saxon riddles'. Kay Smith and Ruth R. Brown, 'A gift for a poet - The buckler'. M.G. Haynes, 'Peasant resistance in the Imjin War - Guerrillas in the mist'. Murray Dahm, '"The dead cost nothing" - Edward I on film'.